"The color of the set is a neutral white with subtle patterns and grains that add some contrast in hue." "The tiles are extremely durable and provide a high degree of moisture resistance due to their vinyl construction." "The pattern itself is repeating and seamless so you can lay the tiles any way you want without having to worry about the 'big picture.'" "Once the tile is set, you can scrape the grout over the surface just like real stone tiling." "This set brings back the traditional look of Spanish tile with the modern durability and moisture resistance of vinyl." "Coming in a variety of colors, each tile includes the same variation in hues and tones for a natural look." "You can install the tiles over most soundproofing and subfloors, including existing wood, vinyl, or concrete." While many people choose vinyl tiles for their durability and flexibility, one attractive quality is the unique looks they can provide as well. Yes, you can find vinyl tiles in the same styles as hardwood and stone tiles, but the elegant, white style of the Amstrong Standard Excelon Imperial Texture set is a good example of how unique vinyl is. This is why the Amstrong Excelon is the top pick on this list: durability meets elegance with this set. 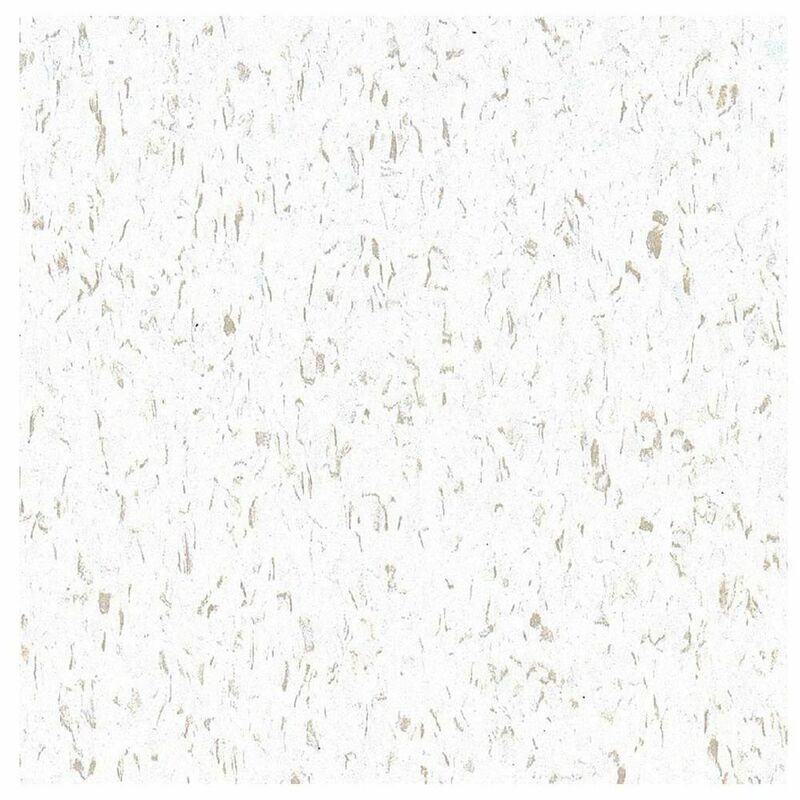 This set is known as a Vinyl Composition Tile, a popular and economical choice in many commercial builds known for a durable, easy-to-install surface. The color of the set is a neutral white with subtle patterns and grains that add some contrast in hue. Made of North American limestone, the tiles are all low VOC and ​eco-friendly. Each tile measures 12 x 12 inches and is 1/8 inch thick. Vinyl tiles are a popular choice for people on a budget. Depending on the style and brand, you can find tile sets that rival some of the best budget carpet and hardwood options. To maximize the possible savings while getting a few different options for the look of your tiles, the Chaucer Resilient Vinyl Tile set is one of the most versatile and affordable tile sets around. The tile set comes in a variety of looks ranging from traditional wood paneling to stone tiles. Regardless of the design, all the tiles are extremely durable and provide a high degree of moisture resistance due to their vinyl construction. Each tile measures 12 x 12 inches and goes on via an easy, peel-and-stick installation method that eliminates the need for grout or nails when laying them down. There is nothing quite like the look of hardwood floors to define the style of a space. True hardwood floors are durable but expensive. Even laminate options can test the budget depending on the brand. That is why vinyl tiles that have the same look and feel of wood paneling can be a great, more affordable alternative. These tile sets provide the same benefits as all vinyl tiling with the addition of mimicking the natural look of wood flooring. The TrafficMASTER Seashore features a varied wooden texture that mimics the typical look of staggered hardwood flooring. Coming in neutral tones, this tile fits with a variety of interior decor styles. The pattern itself is repeating and seamless so you can lay the tiles any way you want without having to worry about the “big picture.” Each tile is 12 x 24 inch and comes with additional sound absorbing material for quiet walking. Vinyl tiling has developed over the years to provide natural, authentic looking wood and stone surfaces. This has led to many people using vinyl tile sets to create the same style of tile flooring as real stone which requires grout. If you want to recreate this same style to convince others that your floors are the genuine thing, you need a groutable vinyl set like the STAINMASTER Groutable White Waza set. Each tile has a neutral, white look with built-in grooves for grouting. Installation is simple using the easy peel-and-stick approach. Once the tile is set, you can scrape the grout over the surface just like real stone tiling. Wipe away the excess to have a solid, traditional stone tile look with the extra benefit of moisture resistance. The entire carton comes with 36 individual 12 x 12 inch tiles. Classic stone tiling is a staple of many kitchen, bathroom, and patio design styles. Real stone tiles are visually appealing but expensive and fragile if not treated properly. Moisture, in particular, can be a danger to stone tiling over time. Vinyl stone tiles like Achim Home Furnishings FTVGM32620 mimic the classic look of stone tiles without the complicated preparation or installation. The FTVGM32620 creates a rustic stone look when everything is laid down. Coming in a variety of colors, each tile includes the same variation in hues and tones for a natural look. The front is seamless so you can lay each tile down in whatever position you wish for the best look. Installation is a simple peel-and-stick approach using a strong self-adhesive on the back. Each tile measures a standard 12 x 12 inch. Marble tiling has a special place in traditional interior design. Marble is a great choice for brightening up a space or making the classic Greek/Mediterranean design style work in your house. Unfortunately, real marble is also prohibitively expensive when you want to add this look to your flooring. Like other vinyl tiles, the TrafficMASTER Carrara set does a great job of replicating the natural grains of marble without the expensive price tag. 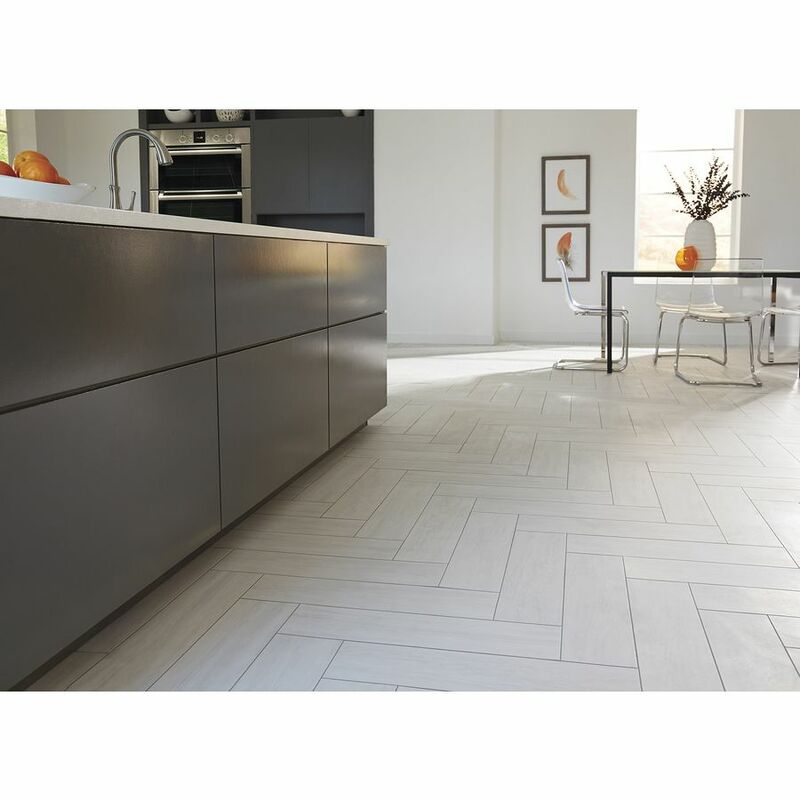 Coming in a white tone with natural-looking dark grain patterns, each tile measures 12x12 inches in length and width. Each tile various in color and pattern arrangement so the overall look won’t unnaturally repeat. You can install the tiles over most soundproofing and subfloors, including existing wood, vinyl, or concrete so you can lay down a new surface without having to remove the existing flooring.